Add some romantic shabby chic love to your home with this fabulous wooden twig love heart. 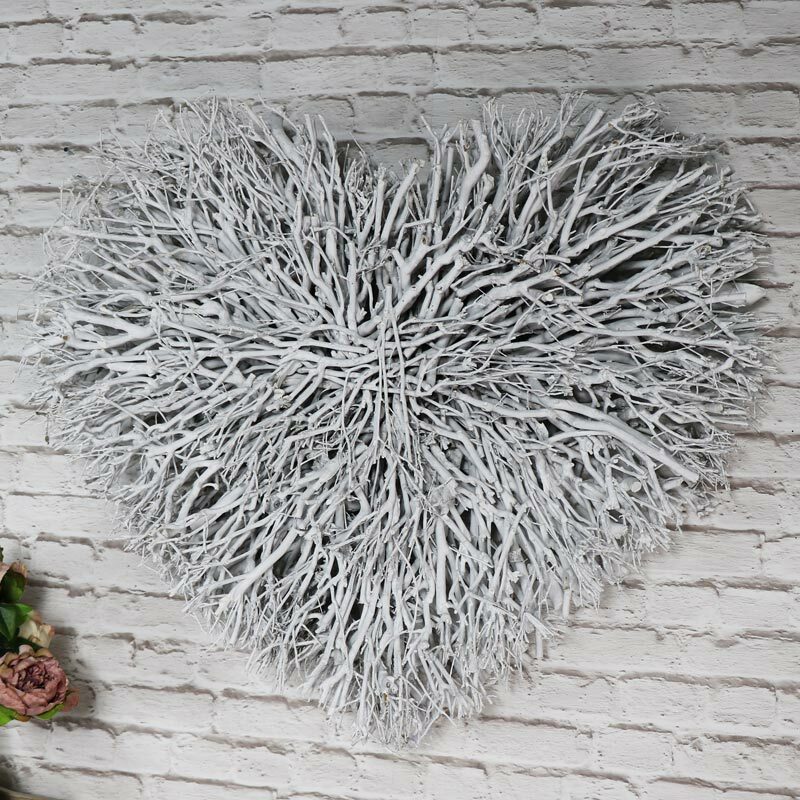 Eye catching wall art in a layered effect, made from twigs in a lovely heart shape. A great piece of art that will stand out on any wall in a rustic antique white finish, this is simply beautiful and will add a look of love and romance to a feature wall. Add some romantic shabby chic love to your home with this fabulous wooden twig love heart. 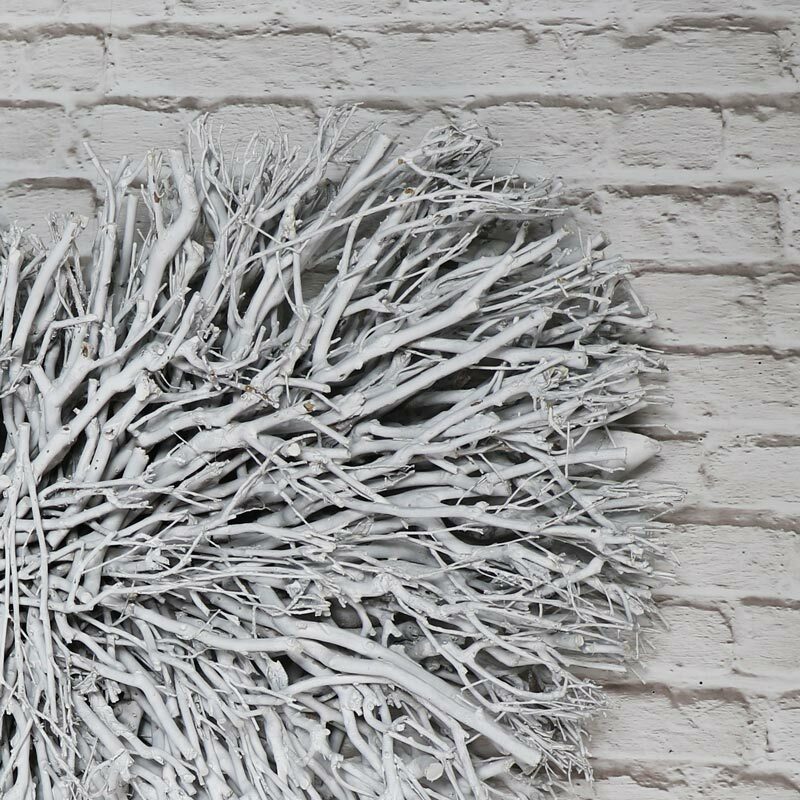 Eye catching wall art in a layered effect, made from twigs in a lovely heart shape. A great piece of art that will stand out on any wall in a rustic antique white finish, this is simply beautiful and will add a look of love and romance to a feature wall. Made from branches and twigs in a layered effect and shaped into a heart. Painted in a slightly distressed antique white colour. A great addition to our superb range of gifts and home accessories. This heart is just what you need for creating a beautiful shabby chic look to your home.